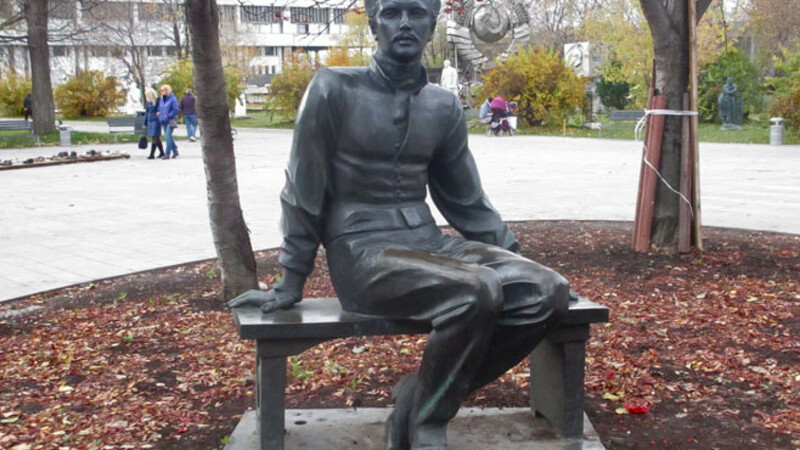 Mikhail Lermontov's knees are worn smooth from people sitting on the lap of this sculpture of the poet seated on a bench. 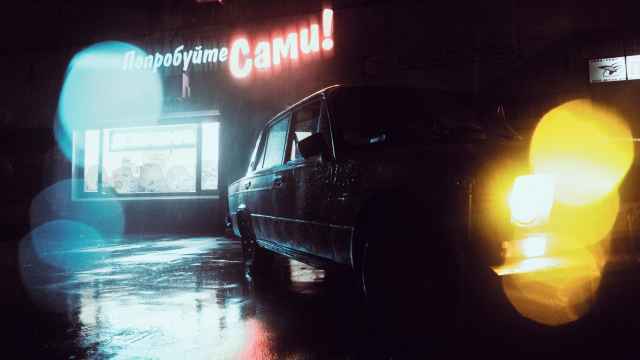 There's going to be rain this week, but for the most part it should be what Russian calls "little" rain. Just enough occasional drops to keep that lovely fresh smell in the air and to keep the plants and trees and flowers perky and healthy. It's what I call "your choice" weather. You make the choice to take an umbrella or not, and you'll be fine either way. My interest in the weather, as in everything I write, is connected to culture, of course. You want to have a nice, brisk walk and take in some art while you're at it? Head for the beautifully renovated boardwalk between the Moscow River and the Central House of Artists, and then veer south just a few steps and you will find yourself in the fascinating Muzeon Arts Park, also known as the Fallen Monument Park. For the record, you used to have to pay to get in here — now its free and open. A short jaunt around the grounds here is rather like taking a stroll through a little Disneyland of Russian literature. 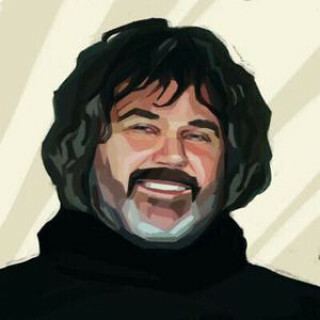 You doff your cap to the father of Russian science and poetry Mikhail Lomonosov, pat Alexander Pushkin on the back, sit on Mikhail Lermontov's lap for a spell and then send a salute up to Maxim Gorky, towering over everyone. A few you may not recognize so readily — the Soviet novelist Nikolai Ostrovsky and the poet Alexander Tvardovsky among them. 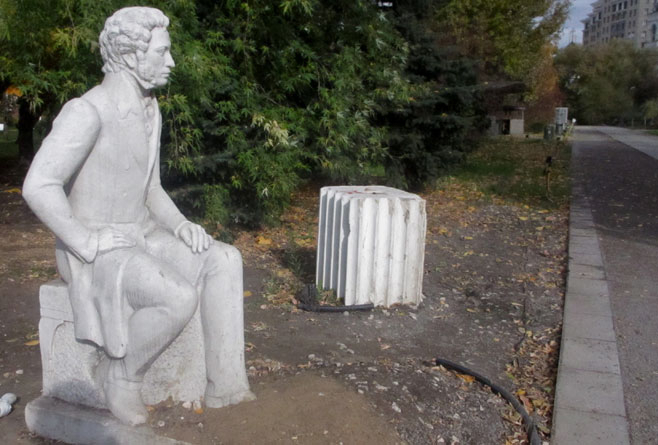 A statue of Alexander Pushkin is partially covered in dirt. Most curious of all, perhaps, is the bust of Nikolai Gogol, one of the most recognizable faces in the pantheon of great Russian writers. Sculptor Zalman Vilensky imagined Gogol as much older than is usually done, and the result is an only semi-familiar image that you, like I did, may just walk past thinking, "Do I know that guy? No, I don't." Maxim Gorky, that unfortunate, freedom-loving soul who bound his reputation up with some of the darkest days of Russian history by attaching himself to the new Stalinist machine in the 1930s, is a colossal figure. The statue used to stand in the small square in front of the Belorusskaya Train Station, but when they dug that up several years ago for an eternal reconstruction project, Gorky was moved to Muzeon. He looks out of place here, stuck up against some pine trees and battling with a high-rise apartment behind him for attention. Pushkin, our everything, uncharacteristically struggles for respect. A rather workmanlike sculpture by Aldona Nenasheva is sort of stuck in a corner between two sidewalks. When I was last there some workmen had heaped a bunch of dirt on the great poet's feet. But this is one of the charms of Muzeon — it reminds us that some of us have feet of clay, while others retain their greatness with dirt thrown all over them. 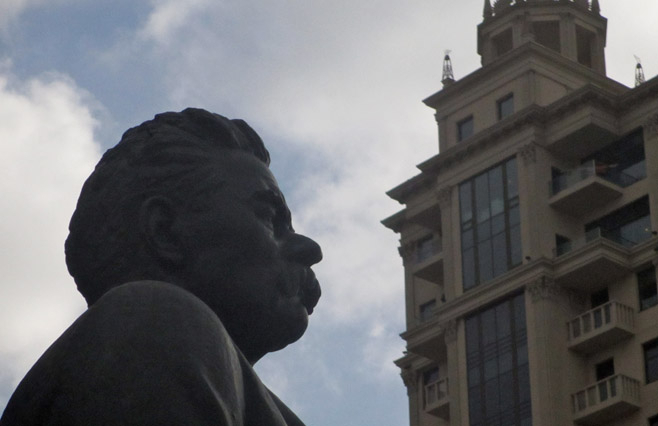 A towering monument to Maxim Gorky is not dwarfed by a high rise apartment building behind it. Oleg Komov's sculptural ensemble of Lermontov sitting pensively on a bench is deceptively attractive. The farther you are from it, the less it demands your attention. But as you near it, then walk right up to it, you realize there is a living soul inside that delicately sculpted face. It is almost unnerving. So pleasant is the figure that Lermontov cuts here under an ashberry tree, that thousands of people have not been able to resist the temptation to take a seat on the poet's lap. The bronze on the upper halves of his thighs has been rubbed and worn to a shiny sheen. 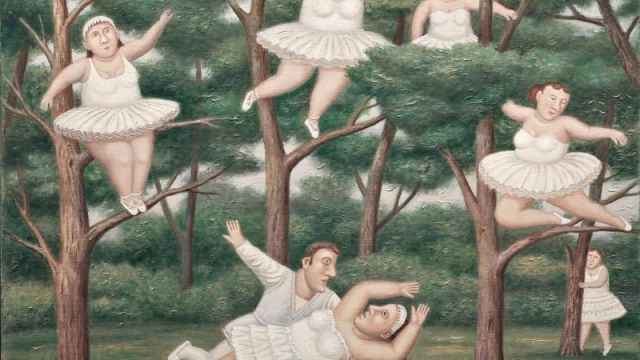 Of course the democratic nature of sculpture gardens means that there are all kinds of folks to be found nestled among the trees and bushes. A fallen Joseph Stalin, with nose ignominiously busted off, stands not far from Felix Derzhinsky, the first leader of the Soviet secret police. Stalin, whose monument now stands as part of a sculptural group that includes a "prison" of stony faces wrapping around him from behind in a semicircle, used to stand in Izmailovsky Park. Dzerzhinsky once stood before what is now the FSB headquarters — formerly the KGB, the NKVD, the GPU and the Cheka — and there are active rumors from time to time that he may be returned there someday. 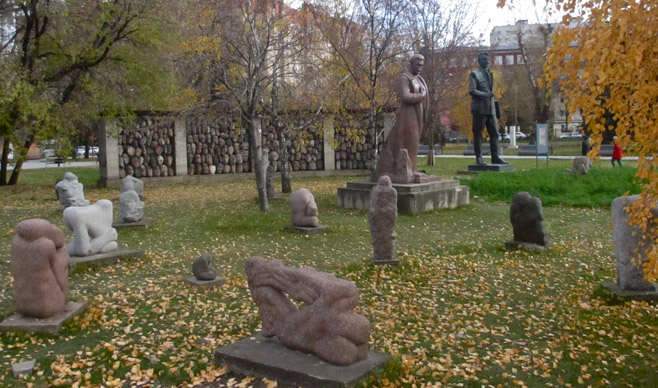 Monuments to Joseph Stalin and Felix Dzerzhinsky in the Muzeon Arts Park are surrounded in back by stone heads peering out of a sculptural prison. These men had a deep impact on Russian art and culture. 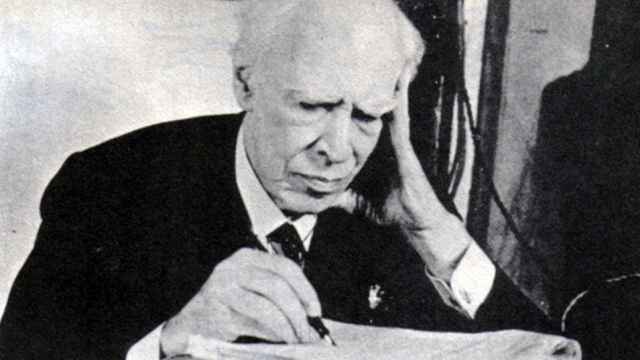 Consider, if you will, the fates of director Vsevolod Meyerhold, absurdist writer Daniil Kharms, poet Osip Mandelstam, prose writer Isaac Babel, poet Nikolai Klyuyev, painter Grigory Gurkin, novelist Boris Pilnyak, singer and composer Gaziz Almukhametov, poet Nikolai Gumilyov, poet Alexander Vvedensky, playwright and novelist Sergei Chavain, playwright Sergei Tretyakov, avantgarde poet Nikolai Oleinikov, novelist Ivan Katayev, playwright Vladimir Kirshon, poet Boris Kornilov, novelist Alexander Tarasov-Rodionov, musicologist Nikolai Zhilyayev, and, well, the list could go on and on. Every one of these individuals died in the hands of the Soviet secret police between 1918 and 1940. None are represented at Muzeon, although one would be within rights to consider that precisely these are the people peering out at Stalin's back from the sculptural prison. This detour aside — one, I repeat, that is part and parcel of the way the park is laid out — Muzeon makes for a fabulous summer walk. And if you're afraid of those rain drops or are presently located somewhere in another hemisphere, the Muzeon website provides a great virtual tour.